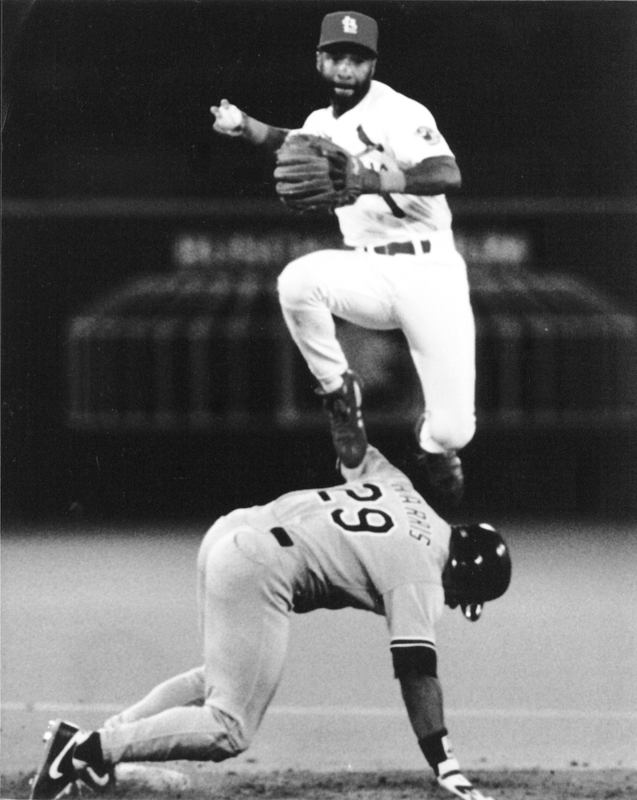 The greatest defensive shortstop of all time, Osborne Earl “Ozzie” Smith anchored the thrilling “Runnin’ Redbirds” teams that appeared in three World Series, winning in 1982. A spectacularly acrobatic yet rock-steady fielder, “The Wizard’s” eye-popping defensive gems made him a fan favorite and earned him 13 consecutive Gold Gloves. The 15-time All-Star steadily improved his offense after joining the Cardinals in 1982 and ended his 19-year career in 1996 with 2,460 hits, 1,257 runs and 580 stolen bases. A fixture in the St. Louis community and one of the most popular Cardinal players ever, Ozzie Smith was elected to the Baseball Hall of Fame on the first ballot in 2002.